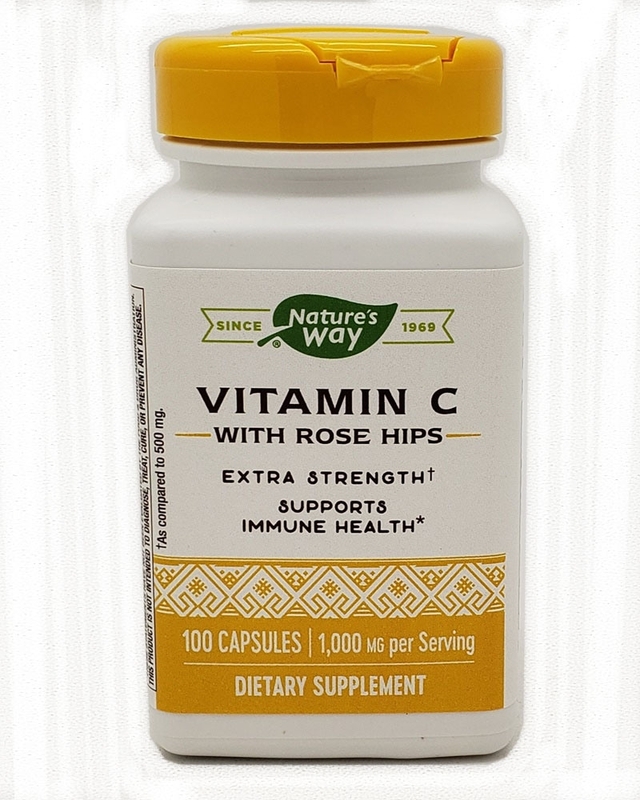 Nature's Way Vitamin C with Rose Hips provides antioxidant protection and strengthens collagen and maintains white blood cell function. Vitamin C works better in combination with other nutrients; evidence supports the fact that Vtamin C should be considered a complex rather than a single nutrient, much like the B complex. Vitamin C has many health benefits, but its probably best known as a cell protector, immunity booster, and powerful antioxidant. It is a highly versatile and health-enhancing nutrient and is active throughout the body. It is used up more rapidly during times of stress.